Recently I have been exploring a great deal of philosophical thought concerning time and temporal lineages, including Henri Bergson’s theories of duration, in which time and duration vary according to the individual but remain the same for science. Kant’s notions of time and the sublime experience have also featured, as have several other discussions of the abstract qualities of time. I have also been reading a lot about the history of time which is incredibly interesting, particularly given the evolution of the instruments we have employed to measure it; which range from sun dials to stop watches. Yet philosophical ideas and the science of time have not been my only major influence; I have recently become fascinated by geographer David Harvey’s notion of the ‘time-space compression’. This is, as the name indicates, the collapsing of temporal and spatial distances. This compression is triggered by technological innovations and means of communication; the ease of which contributes to today’s shrinking geographies. In light of this, my considerations of time in contemporary art and culture have therefore inevitably led to a focus on this idea of acceleration. With the introduction of the internet in 1990s, a paradigmatic shift occurred not only in our abilities to communicate, but also in our economic climate. The internet allowed for the acceleration of capital exchange and production modes, the opening of new markets and an entirely new social sphere. With online banking, Google calendar, alarm notifications, WhatsApp groups, it could be argued that today we exist just as virtually as we do physically. It also heavily impacted artistic production, leading to what is termed as ‘post-internet art’ – a term I personally cringe at using. Although more broad and ambiguous perhaps, I feel ‘the virtual’ is far more encompassing and apt a term to describe online modes of production. Post-internet compartmentalises it too much for me and even the inclusion of the word ‘internet’ is narrowing. However, I feel ‘the virtual’ allows for connotations of various virtual spheres (whether that is social, political or economic), virtual worlds, virtual technologies, virtual communications, etc. It seems far broader and more applicable to my explorations. Having said that, it may just be my aversion to conventional ‘post-internet art’, as with the work of Ryan Trecartin, see here. I am not disinclined towards post-internet art exactly, or to Trecartin’s practice, in fact I think it is a wacky mass of crazy. I think however, my apathy lies in the fact that more articulate practices have since developed. 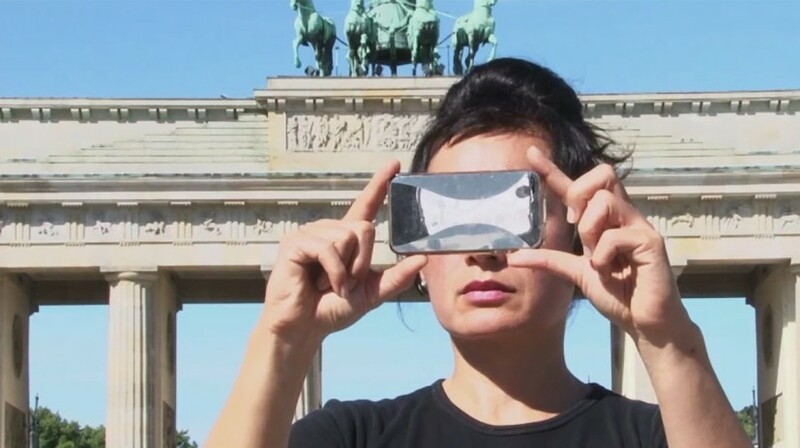 I personally have far greater affinity with the work of both Hito Steyerl and Melanie Gilligan, mostly because both practices and bodies of work are interesting and thought-provoking commentaries on capitalist society. Gilligan’s work takes the form of realist/sci-fi reality TV dramas as an abstract representation of capitalist conditions and social commentaries and Steyerl’s work adopts a more documentary and video essayist approach. I was in The Gallery of Modern Art in Glasgow yesterday and so popped in to see Steyerl’s piece Abstract (2012) for the second time, as it is an incredibly interesting film in discussion of weaponry, globalisation and warfare. I think the success that underpins both of their works is the strength of their theories and research methods; both are incredible writers who I would highly recommend reading.